Medieval European belt buckle is a reconstruction of accessories of the XIII-XV centuries. The Middle Ages have own peculiarities in style and fashion. One of them is a great variety of belts and buckles, included to the medieval costume. This is not surprising, as Velcro fasteners, snappers and zippers had not been invented yet. Belt and buckle were both an adornment and everyday objects. We may see in museums, book-miniatures, paintings and even on the church frescos, how accessories (especially cast buckles) of those times looked like. Design of this model is based on the sample that is kept in Churburg Castle. It is handcrafted, keeping up traditions: casting, bronze, typical frame, locking prong. Simplicity and nobility are the main features of this model. High-quality buckle is very firm. Buckle size: 32 x 24 mm. This medieval buckle of the 1100-1500 years is a reconstruction of its historical analogue, which was found in Zbarazh (Ukraine). Beautiful and original belt buckle will be suitable for both men's and women's outfit. It conforms to archaeological findings and showpieces from museums. Frame resembles wings of butterfly. Ornament looks grand and is good as for festive event, so for daily use. 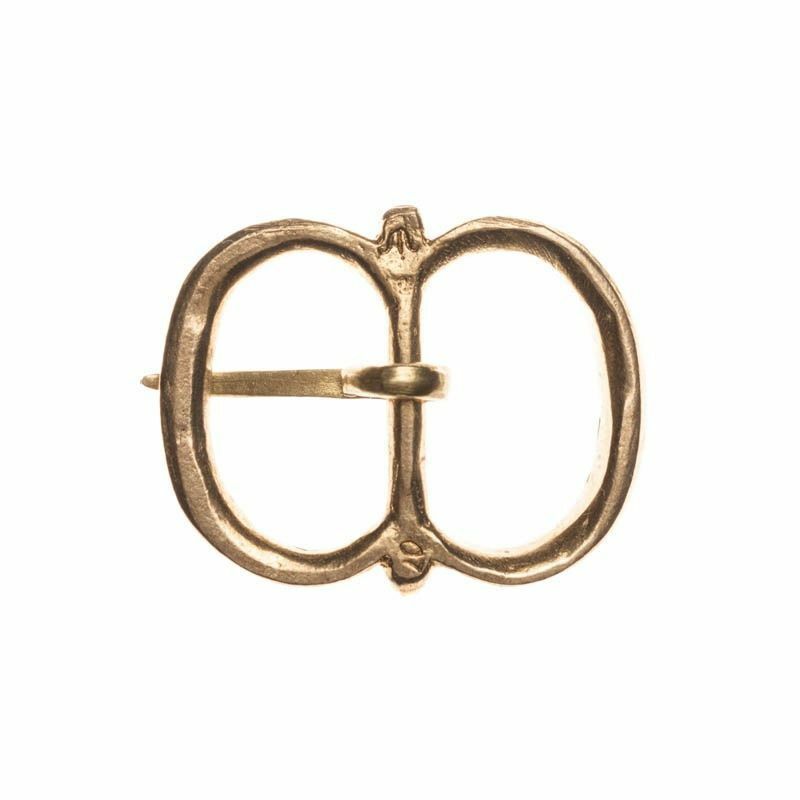 This handcrafted cast buckle of the noble metal is a real piece of art. Material: bronze. Buckle size: 19 x 15 mm. Strap width: 10-15 mm. ..
Design of belt buckle is based on the images of medieval clothing from paintings of Flemish artists in the XIV-XV centuries. There is a reconstruction of buckles of those times. It conforms traditions and fashion of the Middle Ages. Accessories of medieval costume were not only a simple adornment, but also showing social status of owner. Buckle consists of frame and prong and looks nobly and decently. Firm handiwork shows very fine workmanship. The spirit of times and history of Europe are embodied in this buckle. Authentic medieval custom bronze strapend of the XIV century will be great addition to this cast buckle. Material: bronze. Buckle size: 20 x 40 mm. Belt width: 20-25 mm. .. Medieval belt buckle from Churburg Museum is made of high-quality bronze. Museum of Churburg Castle (South Tyrol) is famous for its large collection of medieval armor and clothing. 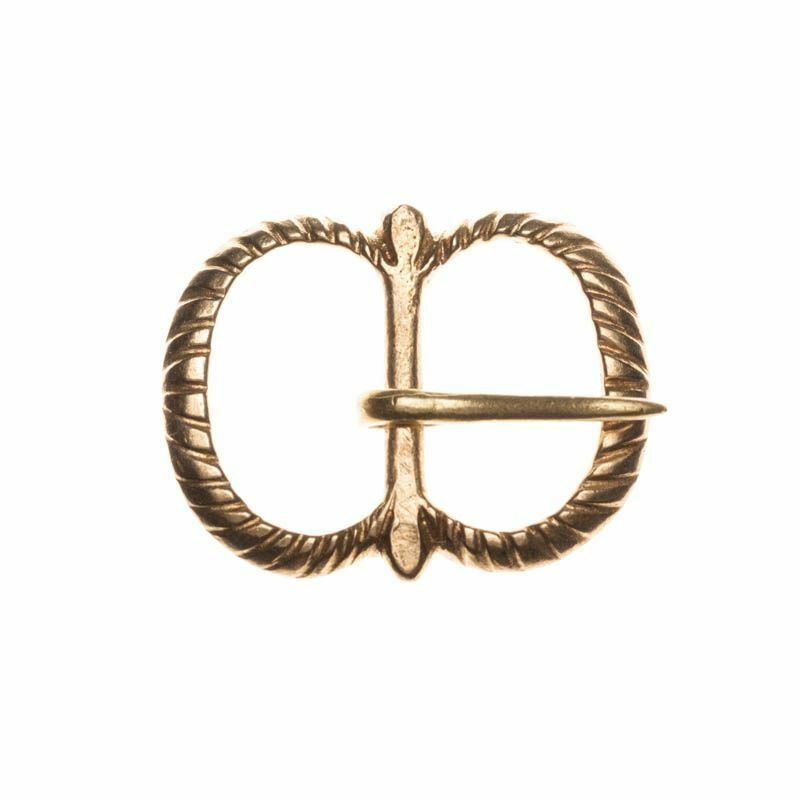 Belt buckle was one of the most important accessory in medieval times. It had not only functional role. This adornment was also showing social status of owner. All parts of buckle were handmade of noble metals. This cast buckle is a reconstruction of museum pieces. Shape is simple and elegant. Frame resembles two birch leaves. Locking prong is firm and robust. Material: bronze. Buckle size: 40 x 24 mm. Strap width: 15-18 mm. ..